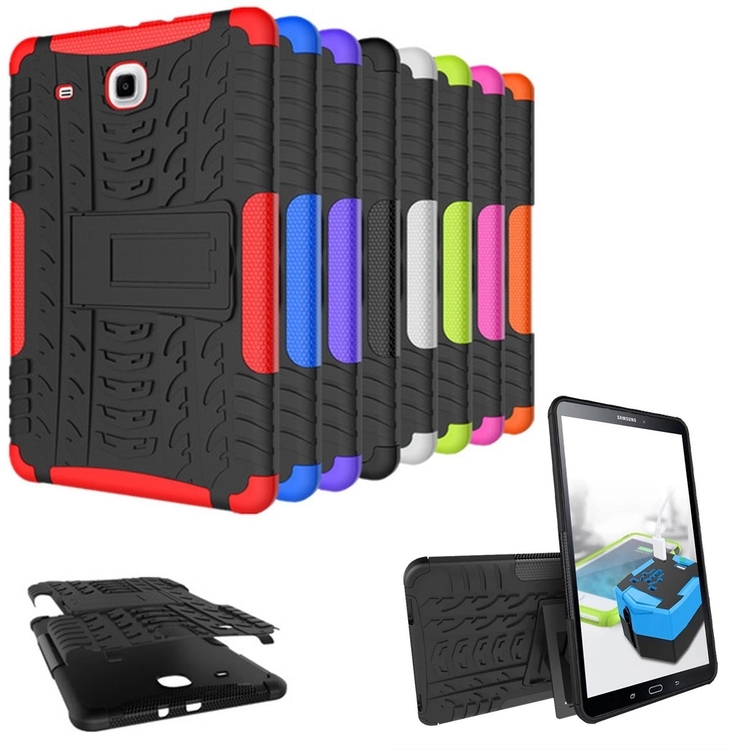 Rugged Hybrid Case for Samsung Galaxy Tab A 10.1" Tablet. Heavy duty case provides excellent protection for your device. The sleek fit of this case allows your Galaxy Tab A to fit easily into your backpack or suitcase for convenient traveling while staying protected. The conveniently open design allows for complete access to all connections and controls.